I read this article and found it very interesting, thought it might be something for you. The article is called Hoffman for Senate campaign blasts off! and is located at https://votesocialism.com/hoffman-for-senate-campaign-blasts-off/. 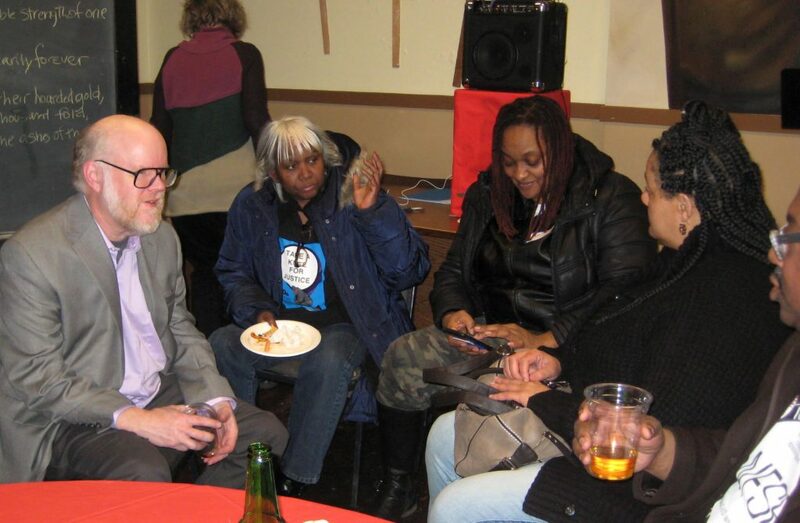 On Friday, February 23, 60-plus supporters thumbed their noses at snow flurries to kick off Steve Hoffman’s FSP campaign for U.S. Senate at Seattle’s Labor Temple. Steve brought down the house as he outlined his race against law-and-order Democrat incumbent Maria Cantwell. Sybrina Woodson, Steve’s co-worker for 21 years, introduced him as someone who always stands up for workers on the North Seattle College campus. Kirk Duncan, representing Organized Workers for Labor Solidarity, said Steve’s platform beautifully synchs with the group’s principles and has their enthusiastic endorsement. Stirring statements were read from activists across the state: new at-large FSPer Roger Yockey, Seattle PTE Local 17 president Denise Krownbell, former AFGE Local 3197 president Barbara Phinney, and Palestinian militant Ziyad Zaitoun. Steve discussed his platform, bringing to life the idea of nationalizing banks under workers’ control and other demands. He described his background and his time in the Navy, which radicalized him and turned him against all U.S. wars. Amy Lazerte, a former union-mate of Steve’s, roused the crowd in a fund pitch that raised over $3,000. And Assistant Campaign Manager Jared Houston energetically motivated everyone to volunteer on the campaign. The hall was festooned with balloons and spring flowers, with the Hoffman campaign banner complementing the historic labor mural at the front of the room. Many thanks to the comrades and friends who made this kickoff a tremendous success. The Hoffman campaign is hitting the streets and bringing socialist feminist hope to the working class!